Globetrotter Television current broadcasts to 13 million homes in the UK through the SKY and FREESAT platforms. We share broadcast time across two Sky channels and have reached a monthly audience of over 1.5 million viewers. You will find most of our programmes on Sky Channel 192 – SHOWCASE TV between 12pm and 4pm every day. Join John Plaskett as he heads to Europes second biggest music festival - EXIT. Held in the impressive grounds of the Petrovaradin Fortress in Serbia's Novi Sad, the festival is a hub for music lovers.But outside of the party hours, what else is there to do? Tune in to find out. Ep3: Alex and Mel continue their exploration of Bohol with a diving trip, before travelling to a new island with a bizarre modern palace. 5/7 Series featuring inspirational walks between 2-8 miles from around Britain. Andrew White walks along the cliffs at Flamborough Head and through Clumber Park, Nottinghamshire. 6/7 Series featuring inspirational walks between 2-8 miles from around Britain. Andrew White walks along the Isle of Man’s stunning coast and visits Sprotbrough in South Yorkshire. 7/7 Series featuring inspirational walks between 2-8 miles from around Britain. Andrew White walks from Banavie to Gairlocky and around the Ribblehead Viaduct. 1/7 Series featuring inspirational walks between 2-8 miles from around Britain. Andrew White walks with artist Ashley Jackson in Holmfirth and to the top of Wansfell Pike in the Lake District. Punam and Tarika head to the beautiful island of Ibiza to discover if it's more than just a place to party. Join John Plaskett as he discovers the vibrant history of the Italian city of Brescia. Roman houses, astronomical clocks and a medieval fortress lie in store as he discovers the secrets of Brescia. Sardinia is a tourist hot spot of sun, sea and sand. But what do you do when the weather turns sour? Join John as he embarks on an island road trip to discover life away from the sea. Join John Plaskett as he heads to Europes second biggest music festival - EXIT. Held in the impressive grounds of the Petrovaradin Fortress in Serbia's Novi Sad, the festival is a hub for music lovers. But outside of the party hours, what else is there to do? Tune in to find out. Jade and Crisi live to perform, so when a dream job in Italy is on offer, Jade borrows her uncles old kit car, and offers to drive them. It’s just the start of an amazing, fun filled adventure. 2/7 Series featuring inspirational walks between 2-8 miles from around Britain. Andrew White takes a surprising walk around Goole and through the Trentham Estate in Staffordshire. 3/7 Series featuring inspirational walks between 2-8 miles from around Britain. Andrew White walks alongside a canal in Wolverhampton and to the top of Sour Howes in the Lake District. 4/7 Series featuring inspirational walks between 2-8 miles from around Britain. Andrew White walks to the top of Brant Fell and Zoe Dawes visits Grasmere in the Lake District. 5/7 Series featuring inspirational walks between 2-8 miles from around Britain. Andrew White walks around Carreg Cennen Castle in the Brecon Beacons and takes an unusual trek in Jersey. 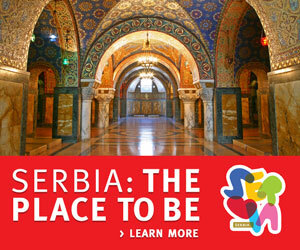 Join Laura Alexandra as she travels the European country of Serbia to discover culture, history, food and the great outdoors. Laura starts her Serbian adventure in capital city Belgrade (1/6). Katy Dartford heads to France to discover the Midi-Pyrenees. A beautiful region blessed with colour and tranquility. In search of food she travels Tarn, Gers, Tarn-et-Garonne and Haute Garonne to find the very best in gastronomy. Punam and Tarika seek out some luxury living in Phuket, Thailand, visiting the most exclusive hotels, and experiencing the tranquillity of a magical water forest and the challenge of a boxing ring! 6/7 Series featuring inspirational walks between 2-8 miles from around Britain. Andrew White walks through the haunted Coombs Dale in the Peak District and to Glenridding Dodd in the Lake District. 7/7 Series featuring inspirational walks between 2-8 miles from around Britain. Andrew White walks around the Muirtown Basin in Inverness and Hugh Town on the Isles of Scilly. Join John Plaskett as he heads deep into the Pyrenees Mountains in Catalonia. The snow is gone and the sun is shining as he hikes through national parks, cycles amazing roads and dares river rapids. 1/7 Series featuring inspirational walks between 2-8 miles from around Britain. Andrew takes a challenging walk up Silver How in the Lake District and Leah walks through Fishlake in South Yorkshire. Presenter Ellen Coughlan agrees to join a 5km fun run in Icelandic capital Reykjavik, and uses the chance to explore some of the famous natural wonders. But this is a fun run like no other! Explore one of the most popular lakes in Italy as we visit the glorious Lake Garda. Experience vineyards, olive oil, cycling and, of course, breathtaking views. Ep6: It’s the final day exploring Palawan for Alex Outhwaite and Mel Dizon, and they visit a luxurious private island before returning to Manila for a spot of partying to say goodbye. 3/7 Series featuring inspirational walks between 2-8 miles from around Britain. Andrew walks along part of the Isle of Wight Coastal Path and between Huggate and Thixendale on the Yorkshire Wolds Way. 4/7 Series featuring inspirational walks between 2-8 miles from around Britain. Andrew White walks around the island of Tresco, then with his family, to the top of Caer Caradoc in Shropshire. Come to the Red Sea coast and explore the beautiful beach resort of Somabay, Egypt. From adventurous activities such as Kite Surfing and Diving, to the relaxation of a Spa, it’s a great place to be. 6/7 Series featuring inspirational walks between 2-8 miles from around Britain. Andrew White walks part of an old railway line on the Isle of Man and through the historic city centre of Leeds. Ellen Coughlan travels to one of the most famous southern States of America. Exploring the narrow Gulf Coastline of Alabama, she’s on a mission to see how sweet it actually is. Explore this little known secret of the northern Aegean. 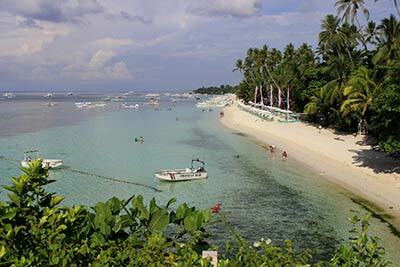 It boasts over a hundred beaches, so you can often find one all to yourself. There's a few surprises too, such as Europe’s only desert! 7/7 Series featuring inspirational walks between 2-8 miles from around Britain. Andrew White takes a stunning walk on the small island of Alderney, then between the Sun and Pluto in North Yorkshire. 1/7 Series featuring inspirational walks between 2-8 miles from around Britain. Andrew takes a scenic walk around the lovely village of Roxwell in Essex, and an easy bimble alongside the guided busway in Leigh. 2/7 Series featuring inspirational walks between 2-8 miles from around Britain. Andrew takes a short walk through the ancient Borsdane Wood in Wigan, and then he climb Kenmore Hill in Perth and Kinross, together with his dogs and his daughter Olivia. 3/7 Series featuring inspirational walks between 2-8 miles from around Britain. Andrew, his dogs and his daughter Olivia take a wildlife-filled walk around Daneshill Lakes in Nottinghamshire, and then Andrew tours around the historic Lincolnshire village of Haxey. 4/7 Series featuring inspirational walks between 2-8 miles from around Britain. Andrew, his daughter Olivia and the dogs take a walk around Hartsholme Country Park in the city of Lincoln, and then Andrew's other daughter Alannah joins them all for a climb to the Falls of Acharn in Perth and Kinross. 5/7 Series featuring inspirational walks between 2-8 miles from around Britain. Andrew goes on two walks straight from railway stations in Yorkshire - one in the countryside of Denby Dale and the other on the coast along the Cleveland Way at Saltburn-by-the-Sea. 6/7 Series featuring inspirational walks between 2-8 miles from around Britain. Andrew and his youngest daughter Olivia walk between the headlands of South and North Stack on Anglesey, and then Andrew's other daughter Alannah joins them, and the dogs, for a walk in Staffordshire to Thor's Cave. 7/7 Series featuring inspirational walks between 2-8 miles from around Britain. Andrew takes two walks direct from railway stations - one around the Derbyshire spa town of Buxton and the other along the Roman walls of Chester.